Today is supposed to be BEAUTIFUL here in Portland. This weather makes me so ready for gardening. A couple weekends ago my husband and I built this sweet handmade trellis. We needed something large and sturdy (for some crazy raspberry plants) and we just couldn’t find what we wanted at any garden store… for the price we were willing to pay. So with a bit of time, wood, paint, nails, and sweat… we built this guy! It’s all ready. This weekend we plan on placing it behind those crazy berries. 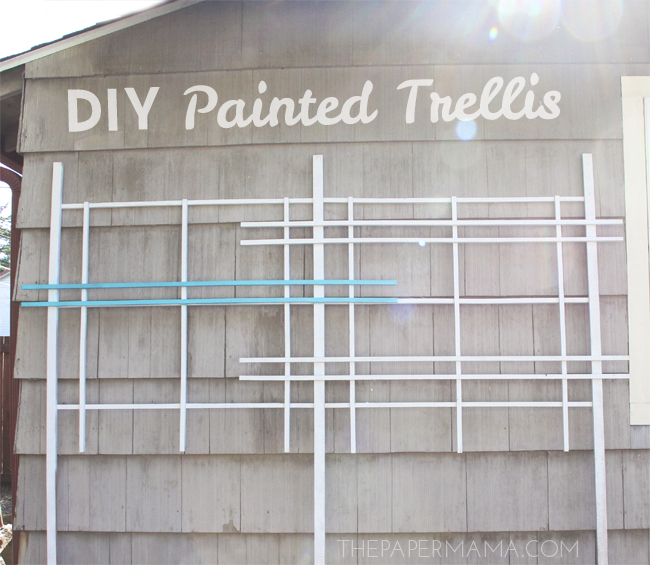 You can find the full painted trellis DIY here on Better Homes and Gardens today. Do you have any garden DIY plans this year?